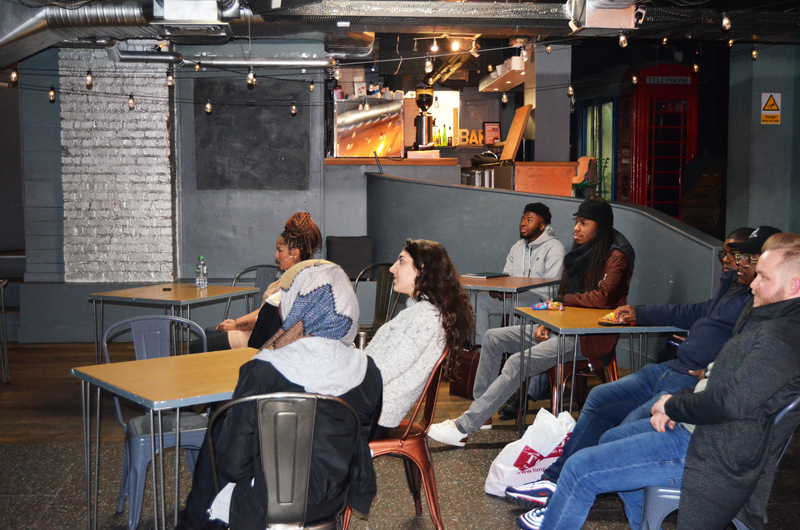 One thing that remains constant about Young People Insight is that I never know what to expect – apart from being sure of dynamic conversation at The Kickback and being inspired at Poetic Insight. Any thoughts or notions I had about Poetic Insight on January 30th completely went out the window once the event finally came around, which was a little hard for me to take at first, but it was a reminder to never have expectations because it means you can never be disappointed. Celebrating two years of YP Insight made it a special night, especially with the presence of cake and singing ‘Happy Birthday’ at the end with some amazing people, but it was tough having over half of the artists on the set list drop out. Attendance numbers were also vastly lower than the first birthday celebrations, but as I have to keep reminding myself, I cannot focus on the numbers and I need to remember why I started this platform in the first place. YP Insight is about young people having an outlet to make themselves heard and be listened to by others in return. 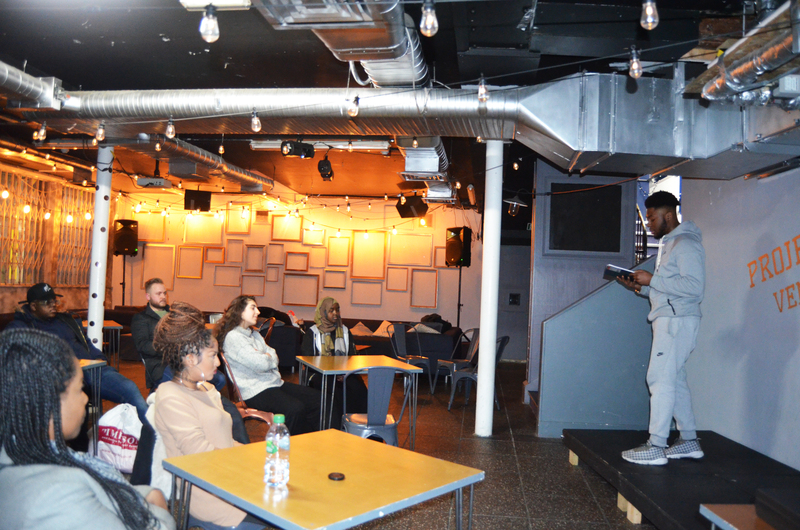 It is giving young poets an opportunity to develop their confidence on a stage and share their work for the first time. It is about creating a caring community of individuals that supports, motivates and respects each other. It is about changing the life of even just one person; numbers should not be a priority. As I said earlier, it was a special night and the poetry was stellar as usual. There is so much young talent around, it’s unfair that they are consistently overlooked. 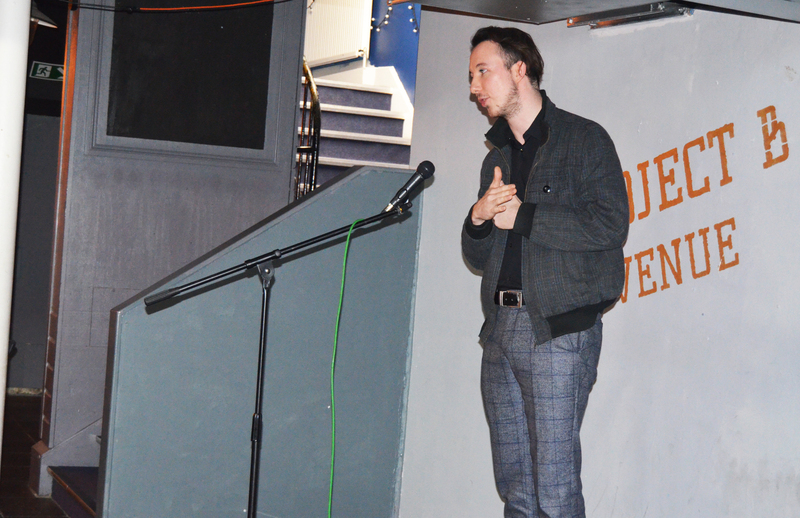 DanielWrites returned to the Poetic Insight stage for the first time since performing at the celebrations for our first birthday last January. He went back to the “classics” and shared two beautiful poems. Taking to the Poetic Insight stage for the first time was Mia, who shared her compelling spoken word poem, Questions, inspired by regular questioning. 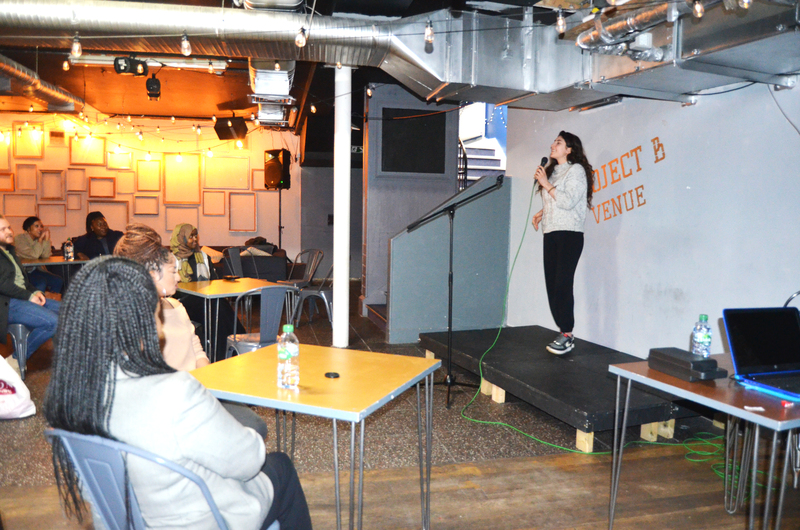 Mia was also the first poet on our stage asked to repeat her poem in its entirety – Questions definitely went down well. Stephen also came onstage for the first time and shared work that he wanted to get feedback on. His deep words provided us with a greater insight into who he is, which was very special. Laurence was the final individual to jump onstage, wowing us with David Clapton, a powerful political piece that forces you to consider the broken benefits system. I also performed, getting political with some spoken word poems of my own, focusing on various American sports leagues and the issues prevalent in them. A huge thank you has to go out to Daniel, Mia, Stephen and Laurence for sharing their work on the night, and a huge thank you also has to go out to everyone who came on the night. I appreciate all of you. Poetic Insight returns February 27th and the theme will be ‘Love & Hate’, as it’s Valentine’s month and all. If you would like to perform, email youngpeopleinsight@gmail.com. Looking forward to seeing you again soon. Stay updated with Young People Insight by following @YPInsight on Twitter, following @youngpeopleinsight on Instagram, liking Young People Insight on Facebook and subscribing to the Young People Insight YouTube channel.